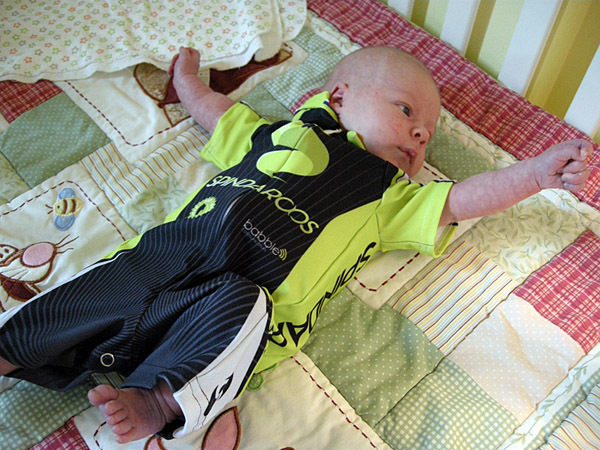 This entry was posted in Training, Uncategorized and tagged baby cyclist, Big Ring, Halloween, Little Ring, Mark Cavendish, Spindaroos, Twitter. Bookmark the permalink. I don’t want to start anything … but you COULD buy Little Ring one of those fedora’s with a press card stuck in the head band!! 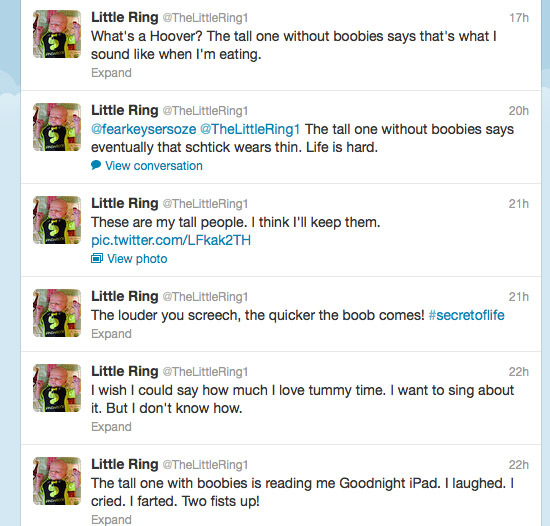 OK, I am now following Little Ring on Twitter. This goes against every ethical fiber of my body, and I feel so wrong doing it. But your baby is hilarious, and I could sure use some humor in my life. How long before you and Dad change your Twitter names to @Tall1withBoobies and @Tall1withoutBoobs?